What Will 2015 Do For Peak Oil? The Cornucopians are exuberant, they believe that collapsing of oil prices dealt the death knell for peak oil. An oil glut, they say, is what we have, not peak oil. But an oil glut is exactly what we would expect at the very peak. After all, that is what peak oil is, that is the point in time when the world produces more oil than ever in history… and the most it ever will produce. I am of the firm conviction that the world is at the peak of world oil production right now, or was at that point three or four months ago. I think history will show that the 12 months of September 2014 through August 2015 will be the one year peak. Whether the calendar year peak is 2014 or 2015 is the only thing still in question, or that is my opinion anyway. The EIA, in their Short Term Energy Outlook says US Crude oil will peak, at least temporarily, in May 2015. This chart includes net US crude oil imports. Notice how they expect crude oil imports to bottom out in February of 2015 at 5.78 mbd then increase to 6.71 mbd in August before declining to 5.82 mbd in December. Lower 48, excluding the Gulf of Mexico, peaks in July and August of 2015 at 7.47 mbd, according to the prognosticators at the EIA, before starting a slow decline to 7.28 mbd in December. The dip you saw in the first chart came from the projection of the GOM production. I have no idea why they are expecting that dip in August, September and October but I suppose it has something to do with the hurricane season. But if they can predict what will happen to oil production during the hurricane season they are good, really good. However they are predicting GOM production will increase by 170,000 bpd by December of 2015. I don’t really think that is going to happen. However the EIA has come off a lot from their earlier GOM production, or seems to be leaning in that direction anyway. They originally had GOM production at over 2 million barrels per day by 2016. The new Short Term Energy Outlook is due out Tuesday. I will report on any changes in the EIA’s outlook then. But looking at the rest of the world, data for the two charts below is in thousand bpd with data through September 2014. Here is where all the growth has come from in the last five years. The combined production of these 11 nations are up about 10.7 million barrels per day since their low on January of 2009. All these nations, with the possible exception of Brazil and Iraq, will have reached their peak on or before the summer of 2015. Of course if the price increases again then the US and Canada will again start to increase production. But even in here their rapid production growth is over. Any increase after the price rise, if it happens, will be at a much slower rate. The rest of the world is down and going lower. Of this group only Kazakhstan has any hope of increasing production very much and Kazakhstan will not see anything until 2017, if then. 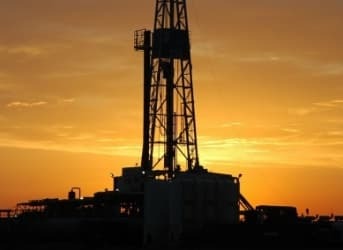 Canadian rig count was up 158 to 366. That still leaves it down 25 rigs from the 391 it was at two weeks ago. I have no idea what is going on there. But the US oil rig count was down 61 from one week ago. It now sits at 1420, down 188 rigs from the high of 1609 back in October. The Permian suffered the largest loss, down 28 rigs this week. I think the low oil price is a conjunction of many things pushing this temporary low price, all true, so to speak, but one thing that hasn't been mentioned is that it may in a world now seriously recognising the need to move away from fossil fuels also perhaps be a conscious attempt to derail the year-long 2015 climate negotiations that lead up to the 2015 Dec UN climate summit, because obviously if prices are high, negotiations will tend to move away from oil, whereas a low price will cause politicians to stick with oil for their economy's sake. The developing enveloping worldwide economic depression will only delay the inexorable result of peak oil.